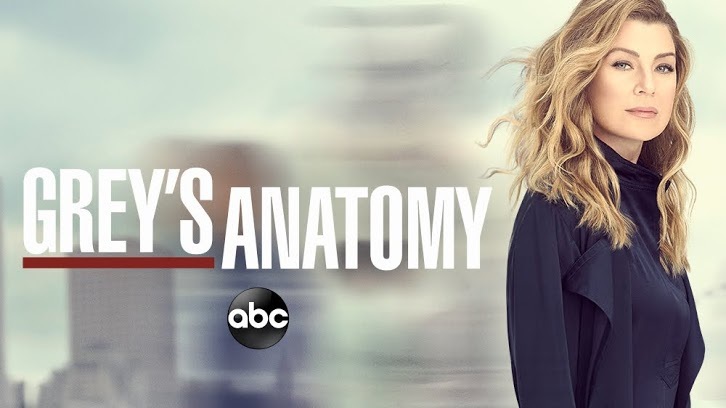 Grey`s Anatomy - Help, I`m Alive - Review: "More Than The Disease"
15 Seasons in and Grey`s Anatomy still knows how to produce quality storylines. Early on the season was shaky, lacked a bit of focus but starting with 2019 Grey`s is all business, entertainment business. As everything possible fallout in the midseason finale, the show is now free to explore all the stories that were pilling up under the emotional roof of Grey-Sloan Memorial Hospital. First and foremost major kudos to Debbie Allen for her portrayal of Catherine Fox. She brought just the perfect dose of irrational and emotional but most importantly the real feel her storyline needed. As I am a very skeptic with where her storyline will go from here I do appreciate what we got this episode. Catherine needed to be more than her cancer, she needed to be defined by her achievements and not by her illness. The pressure Richard and Jackson put on her wasn`t bearable at that moment and her reaction felt natural. Catherine went such a long way from her initial presentation as the cold distant snobby mother to this complex woman who rose out of the shadows the men in her life put her in. Catherine Fox is fierce and I love every single tumor infested bone of her body. Next, we are heading into surgery and this is where my worries start. Tom and Amelia are Neuro-Gods but how far can the believability be tested without insulting us as viewers. Teddy meanwhile god a promotion and is the new Head of Trauma. In a very mature move from Owen, he stepped down so his Baby mother can rise. The maturity the writers are giving to Amelia, Owen and their Omelia drama this season is a very pleasant surprise. Frictions are expected and the ride these 3 beautiful people will experience further along won`t be smooth for sure, but it is really well dozed and enjoyable to watch. The Teddy-Schmidt interactions were another positive surprise this week. The new discovered self-esteem Schmidt is expressing just suits the show so well. He is really shiny and slightly annoying in his ways but his journey is inspiring and I hope we get to see more character growth as time flies. Meanwhile, Tom`s Teddy infatuation was weirdish to say at least. Greg Germann is a delight, his weird ways ever since Ally McBeal delivered laughs on my face and him sticking around GSMH is one of the better choices the writers made recently. DeLuca missed out on Mer Time this week but got to shine in his first ever solo surgery. It does seemed weird no Attending was available to jump in with him, but we`ll buy it. Just as we buy that they put the single mothering Aunt with a probably crappy health insurance into a CT right away. But okay it created space to tell the Aunt`s story and stole a bit of screen time. Meanwhile, Link took the time DeLuca missed out to get under Mer`s skin. Chris Carmack is amazing and he is a great opposite to Mer`s grumpy stressful Mother-Surgeon lifestyle. Their scenes are very smooth and go down well, yet I don`t feel the romantic potential between them. Link seems more like he should date Maggie. It was a neat not to bring back Miranda`s OCD storyline even for a glimpse. The show generally needs to find more space for both Bailey and Alex. They are truly neglected and deserve better quality storyline throughout the whole season. Not only glimpses of what they are doing now. Yes, Miranda got more spotlight this season yet I want more. She is one of the OGs it`s what we all deserve. Alex`s Interim Chief arc should`ve provided him more quality time but it didn`t really deliver, small tidbits yes but just as the case with Miranda we need more. 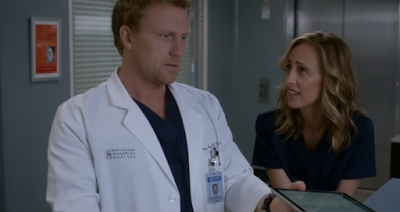 What are your thoughts on Grey`s Anatomy`s latest outing? Is the season getting better for you too? Share your thoughts in the comments below and don`t forget to tune in this week for Catherine`s big surgery.